Here we are, starting into the last month of this haphazard 2018 market year. The weeks between January 1 and February 20 did promise continuing brisk real estate sales…inventory was diminishing in residential offerings and prices had solidified…undeveloped lots/acreages were catching interest…higher end properties were being shown…and a seller’s market was in play. The coalition provincial government brought in a budget (February 20) that specifically targeted Vancouver, Victoria, Nanaimo, and Kelowna…seeking to suppress the buoyant real estate markets in these areas. Several measures were introduced…the speculation (vacancy) tax being a key one. Between February 20 and March 27, the Southern Gulf Islands/Salt Spring Island were included in the vacancy tax. The government used regional district boundaries to delineate where this tax would be applied. The government agreed that the Islands Trust (formed in 1974) had created a recreational ownership-resort based region and so all Gulf Islands were finally excluded. Since the slow recovery on Salt Spring (began in mid-March 2016), inventory in place, due to the economic meltdowns of late 2008, had slowly cleared out. Fall 2017 & up to late February 2018 saw consistent sales and in all price ranges. Then the February 20 budget….. The point of the taxation measures applied to Vancouver was to suppress the real estate market…the theory being that prices would drop and affordability would rise. It might have been a better idea to open up opportunities for construction of affordable rental and purchase units. Sales did shut down in Vancouver, but affordability may not have been addressed. 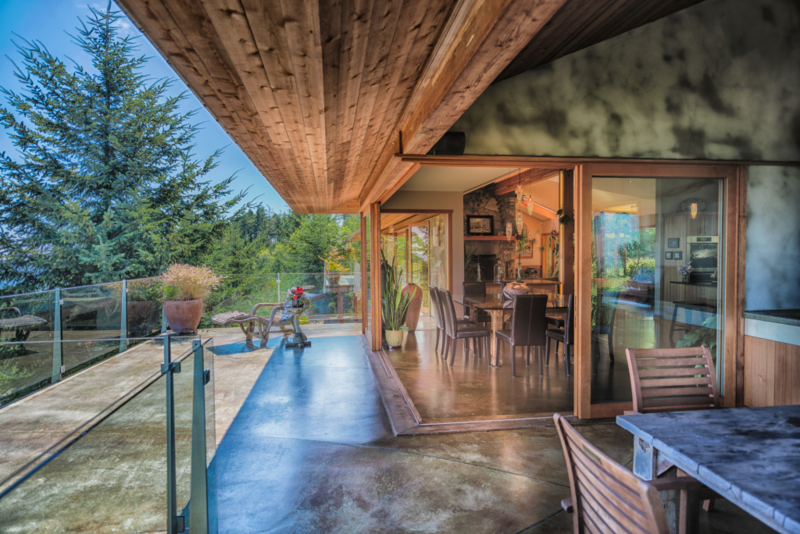 Salt Spring, like other secondary home markets, is dependent on buyers from elsewhere. The recovery on Salt Spring, after the almost nine-year economic meltdown, was driven by Vancouver people who had sold in Vancouver…and were looking to relocate. The suppression in the Vancouver marketplace, after February 20, caused a corresponding pause in action on Salt Spring, for most of 2018. Inventory still remains low. During spring/summer there were viewings. Fall saw more sales…not just showings. Sales were mainly below 800,000, and residential, not lots/acreages. Some projections are calling for a bounce back in the Vancouver marketplace by early spring, 2019. This is an unknown. What is known is that Salt Spring and the Gulf Islands are dependent on a buyer from elsewhere. Before the economic downturn, the main buyers were from Alberta and the U.S. The 2016 beginnings of a recovery on the Islands came out of Vancouver. There may be an upcoming reappearance of Ontario buyers, looking for retirement destinations. Although Salt Spring and the Southern Gulf Islands are beneficiaries of the Islands Trust’s mandate of “to preserve and protect”, which controlled growth through strict zoning/density bylaws, the Islands are not unaffected by changes and stresses globally. The Islands are affected also by the current provincial government’s various measures to suppress real estate markets elsewhere in B.C. Pauses in market cycles, no matter the cause, are always a feature…it’s never a straight line up or down. Lack of inventory, however, seems to imply a buoyancy beneath these many government restrictive measures. Those measures, designed to suppress a real estate market, may be being digested. In the end, consumers set the pace. The guru projection advisors may be right about a resurgence in the Vancouver market, by early 2019. Hmmm…. The above numbers relate to the sale figures…they do not show the tracking down of pricings, on the way to that sale figure. For example, a property selling at 730,000 was listed at 774,000. One listed at 2.8 sold for 2.383. Price reductions at the point of an offer can be quite common on listings over 800,000. Over half the current listings (approximately 106 residential listings, between 309,900 & 4.8, and approximately 57 lots/acreages between 159,000 & 2.495) are priced over a million, if in the residential category. (In a “normal market”, listings might run between 380,000 & 425,000, in total). Listings are not plentiful right now…particularly if below 800,000. If the water moratorium (put in place by 3 volunteers on the North Salt Spring Water District board) could be resolved, then 255 units (approved and funded), re affordable housing/work rental, could be built. Those business enterprises that cannot find housing for proposed staff are also recognizing that vacation rentals are required. The visitors staying at airb&b are the buyers of their local products. Both types of rentals are needed in a secondary home/discretionary area, reliant on a tourist based economy. Last Fall, the current provincial government canceled the fixed tenancy option on a lease, under B.C.’s Tenancy Act. In areas such as Salt Spring, this might be a reason for the reluctance to engage in a regular rental process. The provincial government is in charge of Improvement Districts (water is under this jurisdiction). The government has transferred Improvement Districts to municipalities. Salt Spring is not a municipality. The CRD (Capital Regional District) would have to assume the Salt Spring water districts…or the unfortunate moratorium will not be resolved. There is no water shortage on Salt Spring. The issue is one of capture & distribution. The 255 ready to build affordable housing/work rental units await the outcome. The changes to the Real Estate Services Act of B.C., enacted on June 15, 2018, are in place. Questions? Call me. December is a traditional time of celebrations. On Salt Spring there are many craft fairs (Beaver Point and Fulford Hall craft fairs, WinterCraft at Mahon Hall, pop-up events), plus ArtSpring presents seasonal music and theatre to enjoy. Volunteers create the Shop Local events clustered under the Christmas on Salt Spring label. Santa arrives twice: once by floatplane and later via a Carol Ship. The Village sparkles with Light Up. Lots to see and to enjoy. Be re-inspired by your personal traditions…take time to remember others…take advantage of the fallow field moment of calm. That’s where the creativity lives. This entry was posted in Market Analysis and tagged gulf islands, islands trust, li read, Luxury Real Estate, market, market analysis, Pacific Northwest Coast, Salt Spring Island Real Estate on December 1, 2018 by Li Read. 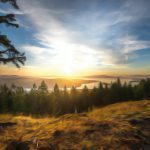 So…summer-summer is underway on the great Pacific Northwest Coast, and Salt Spring and the Southern Gulf Islands are a part of this alluring time of year. June brings vacation seekers, the third annual Tour des Iles event (private boat links between the Southern Gulf Islands) at end of June is always fun, all the studios are open (pick up a map at the Visitor’s Centre), and the hiking/walking trails beckon. Kayaking, cycling, foodie markets (Saturday Market & Tuesday Market), artisans and artists on display, ArtCraft celebrates 20 years with its opening reception at Mahon Hall in mid-June, gallery openings/receptions in Ganges Village, continuing live music venues, farmgate stands..and the fun of Canada Day special events that segue into July. Enjoy the natural world that has been preserved on all the Gulf Islands…since 1974, when the provincial government body known as the Islands Trust came into being. It’s true that the property inventory available for sale is very “thin” right now. There are still buying opportunities…it might mean looking at undeveloped land and building your dream. There will always be less for sale on any Gulf Island due to the Trust’s “cap” on growth. A stronger real estate market is also a reason for the low inventory. Lack of product plus strong buyer desire does result in Sellers Market conditions. More info? Call me. Very big changes are afoot in the real estate industry as a whole. The first change will be on June 15. At that time, Limited Dual Agency will be deleted from the Real Estate Services Act. In place since 1995, Limited Dual Agency allowed a real estate agent to act for both seller and buyer, in the same transaction, with the permission of both parties. Going forward, after June 15, a listing agent cannot also represent a buyer for their own listing. Listing agents will then refer any buyers wanting to view that listing agent’s own listing to another realtor. Teams cannot refer to each other. There are many more upcoming changes, but the 23,000 plus real estate agents in B.C. need to be retrained via continuing education courses, plus new contractual forms need to be created/printed, and “working with a realtor” information forms changed to reflect the new realities. The first significant change will be the deletion of Limited Dual Agency, on June 15. More info? Call me. In change lies opportunity, of course. Change also brings unexpected consequences. One item I wonder about: many busy realtors do market their listings in print and digital media. In the past, they hoped to encounter a buyer looking for that kind of advertised property. All marketing is a significant expense, and is paid for by the realtor. If a listing realtor cannot deal with a buyer who answers that property ad, will that agent continue to spend dollars on such advertising? Will specialty print magazines and real estate supplements, reliant on listing agents property advertisements, go by the wayside? Hmmm…. Summer is a short season. The natural world flowers forward. Enjoy the calmer moments delivered by these longer days. What did Omar Kayham say? The bird is on the wing? Catch the vibe…it’s summer-summer. Enjoy! This entry was posted in Market Analysis and tagged all things salt spring, british columbia, gulf islands, islands trust, li read on June 1, 2018 by Li Read. I am lucky to be able to live and to work on Salt Spring Island. I hope you enjoyed this video by a Vancouver based travel writer…who hopes to one day also live on Salt Spring. I thought he caught the essence of this magical place. April is perhaps the true beginning of our real estate market “season”. Whispers of the year’s tone can appear around March Break, but the main action becomes evident by April. We entered Spring with a very thin inventory of listings, in both residential and undeveloped land options. A lack of inventory, coupled with renewed buyer desire, does result in price escalation…the economic dynamic of supply and demand. There can be interruptions to a market flow…the suggested speculation tax mentioned in the provincial government’s February budget appeared to be about to become such a non-market interruption. However, in late March, the government agreed to exempt the Gulf Islands from this tax. Initially, the capital regional district boundaries had put the speculation (vacancy tax) onto the Southern Gulf Islands, too. The Islands Trust (the form of governance since 1974, on the Gulf Islands) created a secondary home/recreational/discretionary region. 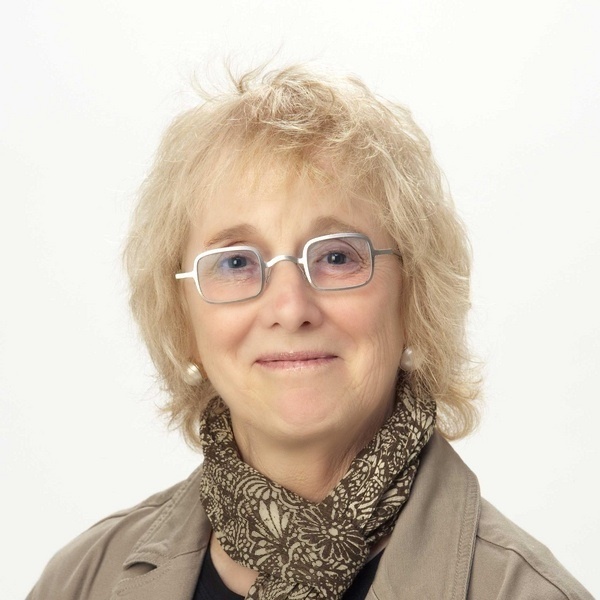 Lack of affordable housing and work-rental choices are issues everywhere…Salt Spring’s approved affordable housing projects are not able to proceed because of a CRD water moratorium. The CRD needs to address this. More info? Call me. April is an interesting month…it starts with the cool of March and ends with the largesse of almost-May. Every day is longer, softer temperatures encourage “real Spring” to energize us, and the exterior world welcomes us back. 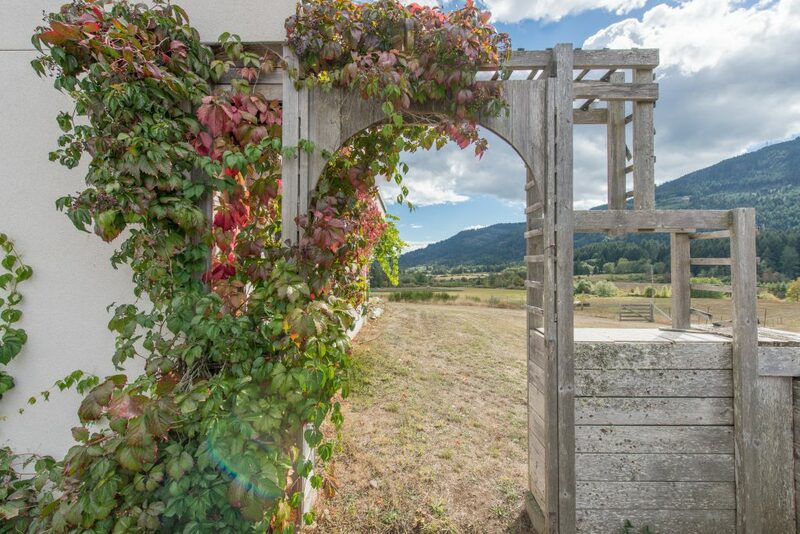 Whether inventory grows again and stabilizes prices or whether inventory remains thin and prices start to rise, Salt Spring and the Southern Gulf Islands remain their serenely beautiful selves…and with some creative thinking, it is always possible to seek ownership. Some ideas? Call me! There is always opportunity. We live in a time of shift. Salt Spring and the Southern Gulf Islands enjoy proximity to major centres…they are apart but are not isolated. Artificial Intelligence brings new technological benefits to our lives. The Gulf Islands, including Salt Spring Island, are time tunnels to previous times. Frozen by the 1974 Islands Trust mandate (“to preserve and protect” the environmental beauties of the Gulf Islands, for the benefit of all B.C. residents), the islands are all about direct experience of the natural world. Salt Spring welcomes you to enjoy its parks, hiking/walking trails, farmgate organic produce, farmers markets, winery tastings, cheesemaker farm, art galleries, studio tours, live music venues, theatre experiences, marine discoveries…spas, alternative health opportunities, yoga retreats…great restaurants to tempt the palate…feed the body, the mind, the soul on these tranquil Gulf Islands. This entry was posted in Market Analysis and tagged all things salt spring, gulf island, gulf islands, islands trust, li read, market analysis, Pacific Northwest Coast, Real Estate on April 1, 2018 by Li Read. We experienced the yin and yang of a La Niña weather pattern on the Pacific Northwest Coast…from early December to mid-March. Salt Spring fell into “real winter” on December 3, 2016 and experienced yet another serious snowfall on March 5, 2017. In between: snow, cold, with ice build-up remaining on roads between the frequent snow storms, only main roads to ferries cleared (side roads and driveways on their own). There was skating on the lakes…that was a fun item. The last time the Coast experienced the La Niña effect was in 1996. The entire Coast was affected, including Vancouver. The weather did affect real estate viewings…potential buyers couldn’t get out of where they were, never mind not being able to easily get around on Salt Spring! December, January, February, and first half of March (higher elevation properties only saw the “melt” begin around March 12th) caused a slowdown in new action. Many of the reported sales of early 2017 had their beginnings in late Fall of 2016. 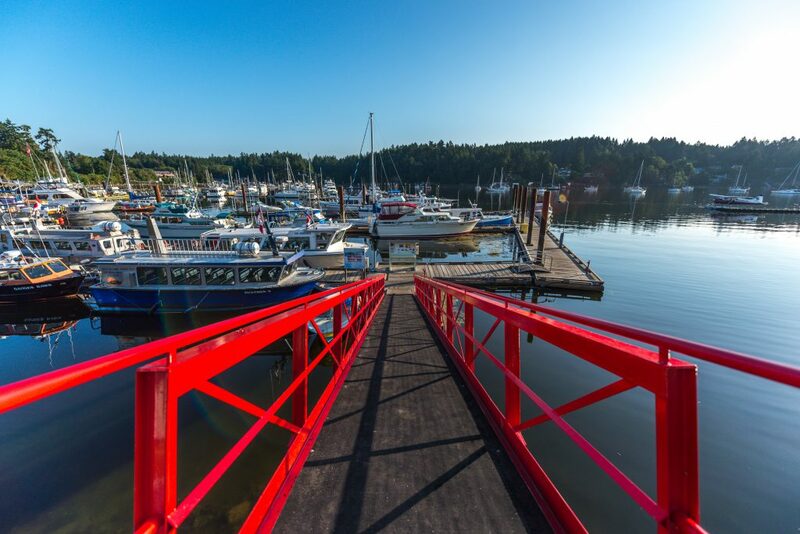 Although we often describe Salt Spring and the Gulf Islands main sales window as falling between March Break and the Canadian Thanksgiving Weekend, the reality is that the busiest months are May, July, August, September. The Islands are secondary home/discretionary/recreational markets…I call them recipient markets. Sellers have to wait for a buyer to first visit, then decide if a particular island works for them, and then to really start their search for a specific property. Time is always an element of sales in all secondary home/recreational regions. That said, it’s clear that 2016 was a sales volume increase year…a cleaning out of inventory that had built up during the eight year economic downturn. Prices stabilized, but did not increase. In a “by choice” area, such as Salt Spring (and the Gulf Islands), there is always a time lag component in sales outcomes. Often, a tourist with a successful visitor experience becomes a buyer in our region. Usually two, if not three, visits take place before a purchase decision. The non-local buyer wants to “be sure”, before committing to a purchase. When a property sells quickly, it often means that a property is listed exactly when a buyer has returned for that second or third decision-making visit. With less inventory to choose from, however, we may now start to experience some bidding wars, IF a property is unique. 2017 has had a slow start, solely due to the unusual weather vagaries, but all signs are there for further inventory clean-out (especially in the upper tier priced residential properties and in the undeveloped land segment). After that? No crystal ball, but the signs are definitely in place for price increases in any new (and potentially few) new listings. The tone of 2017 may be fully in place by late May. It may be that buyers who acted in the first three months of this year will turn out to have been the last buyers able to catch a seller’s interest with a lower than list price offer. In other coastal regions, which often catch the wave of change before it’s seen on Salt Spring and the Gulf Islands, the price escalation due to lack of inventory is in evidence. Between 2000 and 2002, sales volume increased by around 50%. Between 2003 and 2005, prices rose by around 60%. Our dollar was low against the U.S. currency. International buyers were in evidence. Hmmmm…… Similar soundtrack? To date, there have been 55 sales between January 1 and March 31. The first several (below 200,000) were undeveloped lots. The higher end residential did see price reductions at the point of an offer, but residential below 500,000 often sold at (or close to) list pricings. 6 sales between $160,000 and $199,500. 4 sales between $234,000 and $280,000. 8 sales between $305,000 and $396,000. 8 sales between $400,000 and $485,000. 9 sales between $506,200 and $599,000. 5 sales between $625,000 and $690,000. 3 sales between $729,000 and $769,000. 3 sales between $800,000 and $878,000. 2 sales between $900,000 and $945,250. 4 sales between $1,075,000 and $1,750,000. 3 sales between $2,200,000 and $2,500,000. I do this market analysis at the beginning of each month…updates may appear in my blog entries. Along with the transition from a buyer’s market (few buyers and many listings) to a seller’s market (few listings and many buyers), there is the Islands Trust (government body in place since 1974, which capped growth on the Gulf Islands via strict zoning/land use bylaws)…the inventory will always be less on a Gulf Island, thus, beyond market trends). Salt Spring will be asked on September 9th whether or not to retain the status quo (2 elected trustees and one elected CRD director…the actual decisions, however, are currently made from a central Trust office in Victoria…and these government appointees do not reside on Salt Spring), or whether to incorporate as a Gulf Islands municipality (two trustees elected, per usual, plus councillors & a mayor…the Trust documents remain in place, but decisions re governance would be made on Island & not in Victoria). Keep in the loop of the conversation on both sides of this important issue. Meantime…the beauty of the Island calls to us. Check out the Food Network’s one hour showcase of Salt Spring…the travelling chefs came last summer and I think they caught the essence of this magical island. 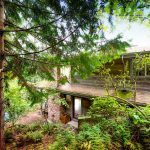 Looking for your special property on Salt Spring Island or on a Gulf Island? Call me. There is always opportunity for a buyer, regardless of market trend in play. This entry was posted in Market Analysis and tagged gulf islands, islands trust, La Ni, li read, Luxury Real Estate, market, marketing, opportunity, Pacific Northwest Coast, Real Estate, salt spring on April 2, 2017 by Li Read. So…the season begins….traditionally, March Break to Canadian Thanksgiving Weekend (mid-March to mid-October) offers the traditional grid of real estate sales action in the coastal secondary home (recreational) markets…which includes Salt Spring. 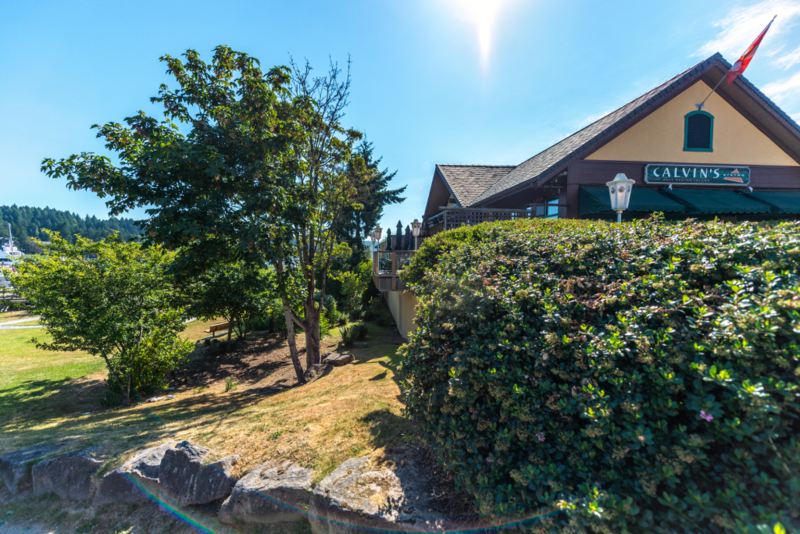 Salt Spring is basically a seasonless market, though, and people visit year round…real estate sales can occur at any time. If one is seriously for sale, then one needs to “be exposed to the market”. The digital world, which is now where most buyers first encounter a listing, does not recognize weather or time of year. If wanting to sell, it’s important to be found on a buyer search, at any time. For a buyer, statistics show that they look for property almost 2 years before buying, via Internet sites. Yes, they are “interested”, but not yet “ready”. About 6 weeks before they are in that “ready” state, they connect with a realtor and make appointments to view what has caught their attention. Once they physically arrive and view, they will see other options, too. Thus, the buyer may or may not purchase the property that first caught their attention. Hmmm…in secondary home markets, where most buyers are from elsewhere, it often takes two (and sometimes three) visits before a purchase. Since these buyers are often from afar, there can be substantial timelines between visits…sometimes 3 to 4 months, or longer. Time lags are a part of real estate sales in secondary home/discretionary markets. Days on market are not significant in recreational/by choice regions. Sellers know how long they’ve been listed, but to a buyer who has just started a search, everything is “new”. 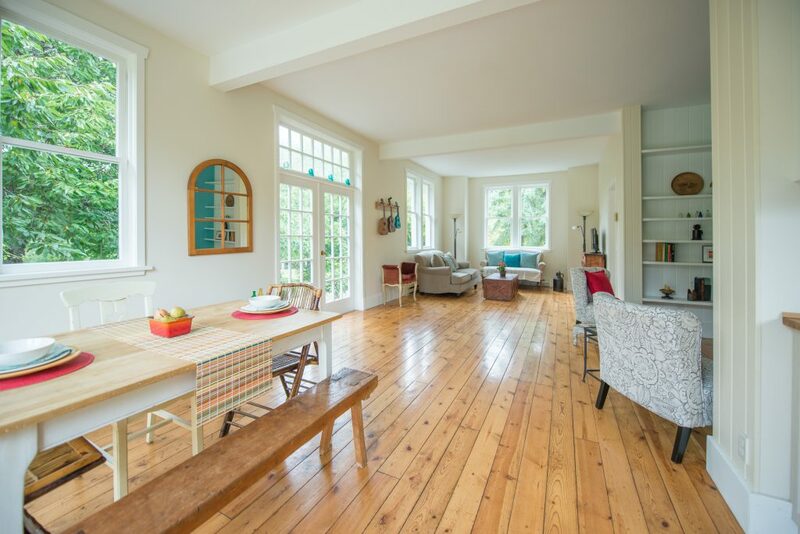 If a newly listed property sells quickly, it often means that a buyer has turned up for that second or third visit, right at the time the listing came onstream. So many changes to the real estate industry, all of them driven by technological shifts, but some things remain the same…especially in the recreational/discretionary regions. Customer service, knowledge of the area (both inventory and market trends), negotiating skills, an authentic interest in a consumer’s concerns, knowledge of zoning/bylaw issues (very important on a Gulf Island, which is governed by the Islands Trust), a good short-list of qualified professionals to aid the consumer (property inspectors, legal advisors, septic installers, water test labs, architects, contractors, mortgage advisors, etc)…a local realtor understands the area and can interpret the many local issues. An Internet search is helpful, but some items in a recreational region are best discussed with a knowledgable & experienced local realtor. That interpreter function is an essential addition to any internet based information. Market trends: like any market, real estate also experiences that wave-like model…up and down and somewhere in between. Markets are never static. The global downturn of late 2008 lasted for almost 8 years in our local region…some areas saw recovery much earlier. For Salt Spring and the Southern Gulf Islands, the recovery began in mid-March, 2016. There were earlier whispers of action in late 2015, but a marked upsurge in residential sales volume began in early Spring, 2016. By year’s end, inventory had thinned out and prices had stabilized. A seller’s market is characterized as low inventory coupled with high buyer demand. This scenario can lead to price escalation. This early in the season, it’s too soon to speculate on price points. All that can be said is that there might only be two or three property options currently on the market that will suit a buyer. Thus, the seller may benefit by achieving list price or close to it. If this lack of inventory trend continues, then price escalation may be a factor by the Fall Market. There is always opportunity for a buyer, regardless of market trend in play. Creative ways to buy that special property, in a recreational area, can always be found…even in a seller’s market. This entry was posted in Market Analysis and tagged Canadian Thanksgiving Weekend, Fall Market, gulf island, gulf islands, islands trust, Luxury Real Estate, market, marketing, opportunity, Pacific Northwest Coast, recovery on March 1, 2017 by Li Read. 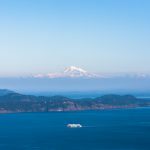 Summer on the great Pacific Northwest Coast is a superb season…and the micro-climate enjoyed by Salt Spring Island and the Southern Gulf Islands is delectable. It’s a short season…and here we are at a mid-point. Time to get out there and enjoy all of the amazing opportunities offered in our special Islands region. Lakefront swimming, ocean kayaking, sailing between alluring anchorages, savouring produce from farm gate stands, being inspired by artists and crafts artisans in galleries and on studio tours, enjoying live music venues, theatre productions, and a hiking/walking experience that re-introduces one to the natural world preserved on the Gulf Islands. The real estate market has recovered on the Gulf Islands in what I call the residential entry-level property segment. On Salt Spring, that would be 350,000 to 750,000 price range. It does appear that the Spring market in the Gulf Islands is about sales in that entry level residential category. Between mid-July and end of November, upper tier priced residential properties begin to find their buyers. Some years back (and who knows why), the Gulf Islands became a late summer/fall real estate marketplace. This market analysis is always written at the beginning of a month. For market updates, reflecting the rest of the month’s outcomes, check out my blog. Also check back to my June and July “reports”…this is a very new recovery (just 10 weeks old? After an 8 year downturn.). 19 sales up to 200,000. You can see, then, that the Spring market is about the beginning stirrings of the authentic recovery. From mid-July to end of November it’s the upper tier time. An outcome of thinning inventory is price increase…for the moment, a buyer may have to meet the benchmark set by the seller, as listings diminish. Sales volume may have tripled, and prices may have stabilized…but price increases have not yet been strongly evident. As we ease into the Fall market, we may start to see prices escalate. 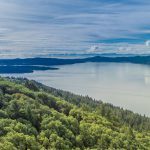 Why consider a purchase on Salt Spring Island or a Gulf Island? 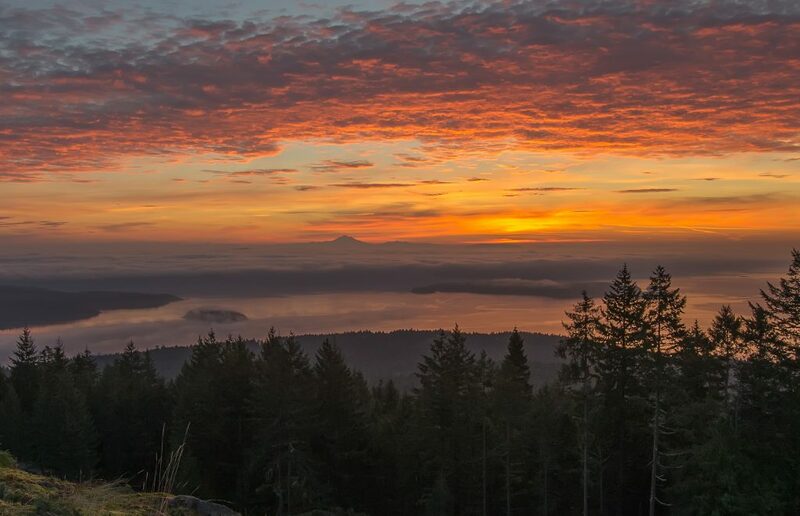 One thought: the Islands Trust (created in 1974) effectively capped growth on the Gulf Islands. A limited inventory, combined with a strong buyer demand, creates a higher price point for all purchases. It’s the economic axiom that low supply plus high demand equals price escalation. A property purchase on a Gulf Island is perhaps a protected investment. 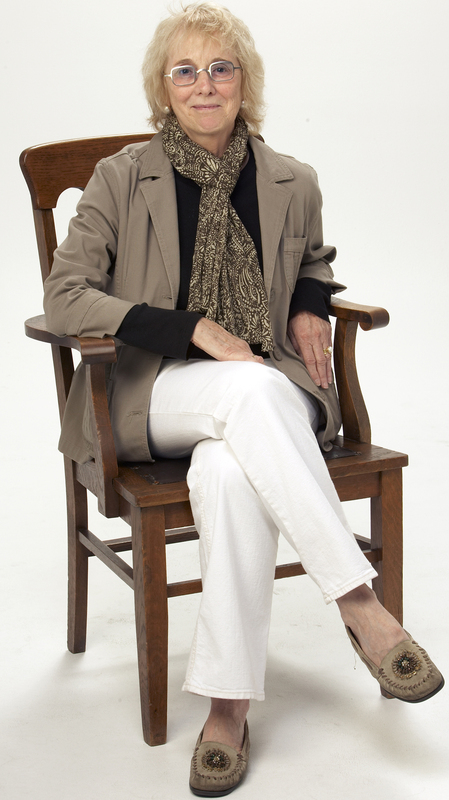 Perhaps a more important reason for a Salt Spring Island or Gulf Islands purchase: to enjoy a softer, gentler lifestyle, with an emphasis on the natural world and the impact of an artists voice. Salt Spring and the Southern Gulf Islands are an easy commute to Vancouver, to Victoria, and to Seattle. Whether by ferry (3 different regular scheduled ferries service Salt Spring) or by floatplane (regular sked flights to downtown Vancouver, to Vancouver Airport, from Salt Spring), it’s very easy to come and to go…and yet these Island gems swim enticingly apart in the Salish Sea. Proximity to major centres, yet serenely apart. All opportunities in the 21st Century available, yet an alluring yesteryear ambiance. A thoughtful and caring community, yet strong opinions. Definitely an interesting place to reside! This entry was posted in Market Analysis and tagged gulf islands, islands trust, recovery, salt spring on August 4, 2016 by Li Read.